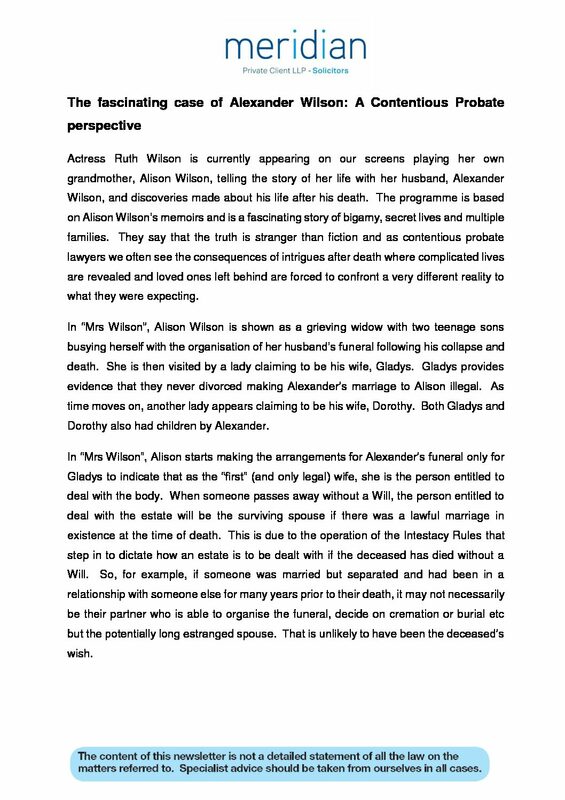 The fascinating case of Alexander Wilson: A Contentious Probate perspective - Our Private Client Team and Contentious Trusts and Probate Team at Meridian Private Client LLP are experienced at dealing with all manner of Wills and inheritance disputes. 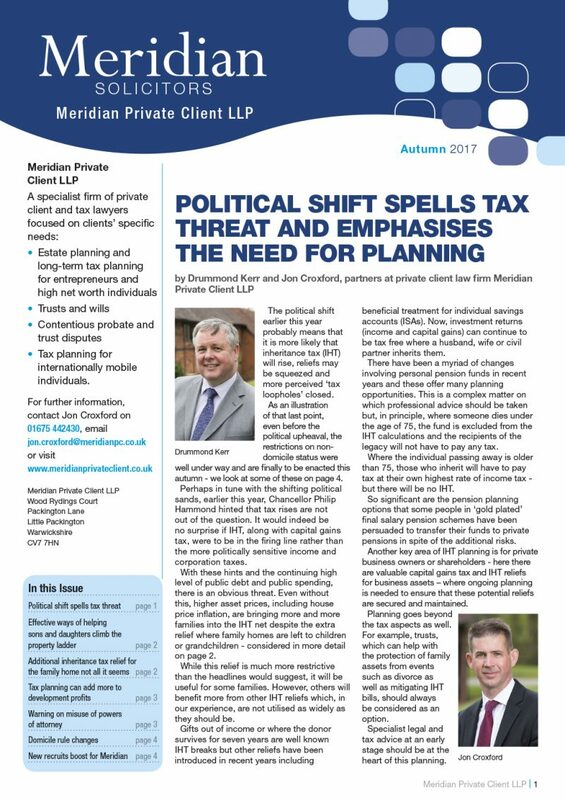 The Will of the people. 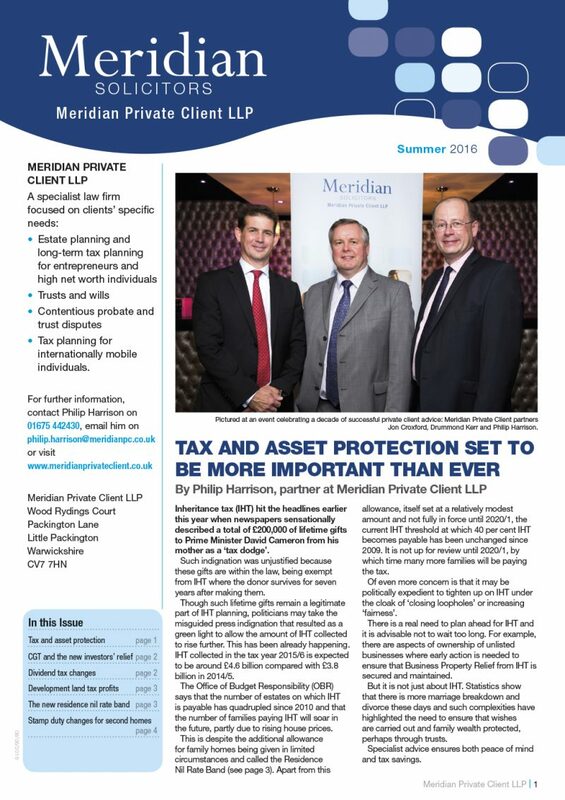 Our Contentious Trusts and Probate Team at Meridian Private Client LLP are experienced at dealing with all manner of inheritance disputes. 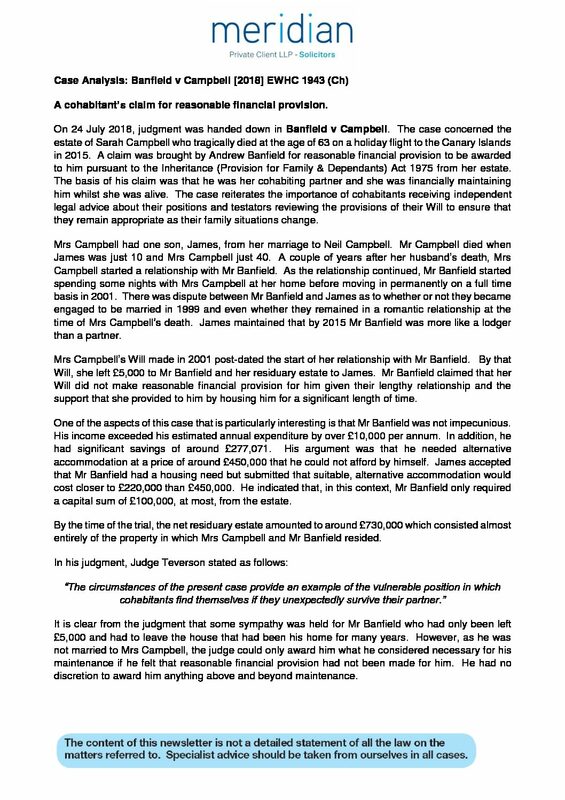 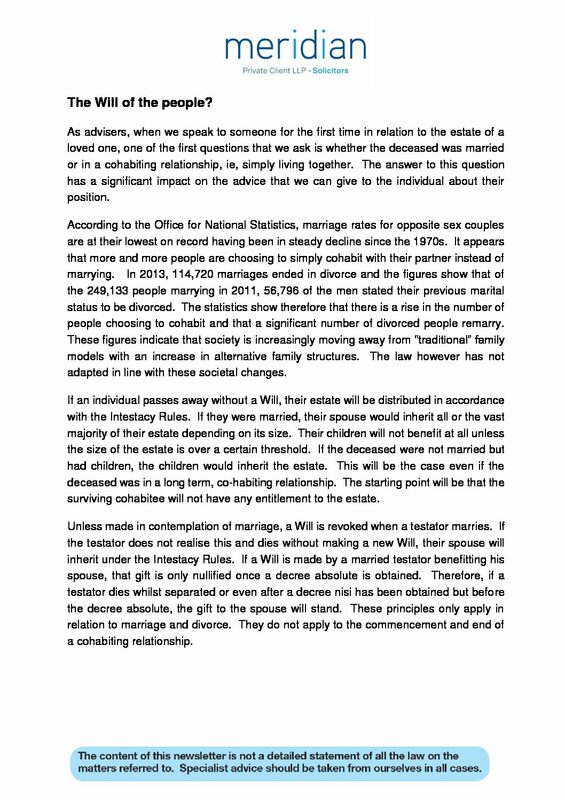 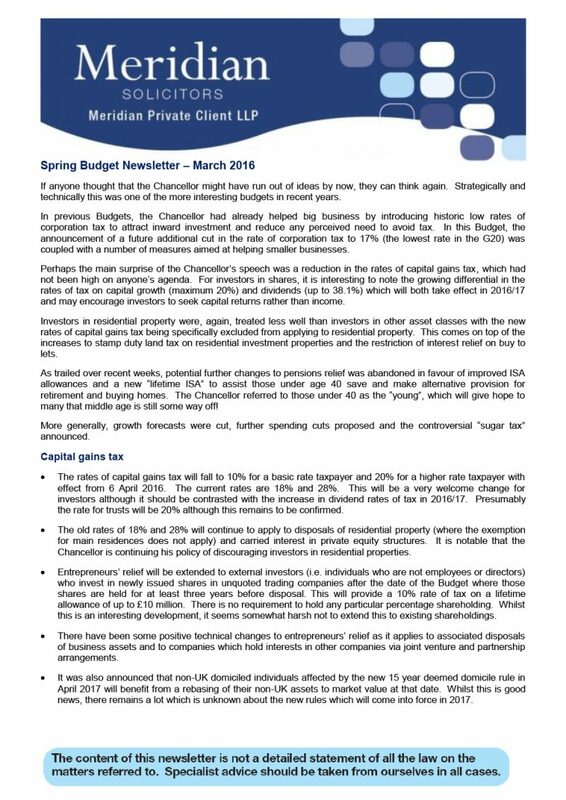 Banfield v Campbell  EWHC 1943 (Ch) - A cohabitant’s claim for reasonable financial provision. 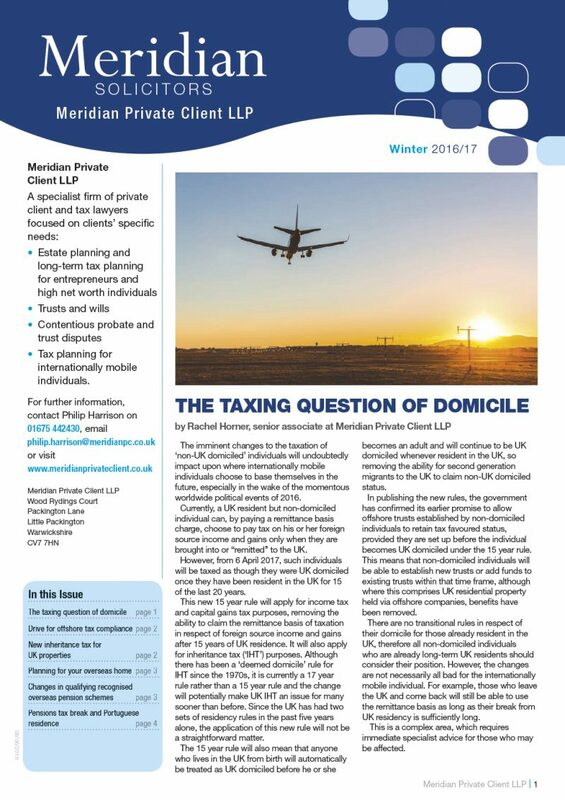 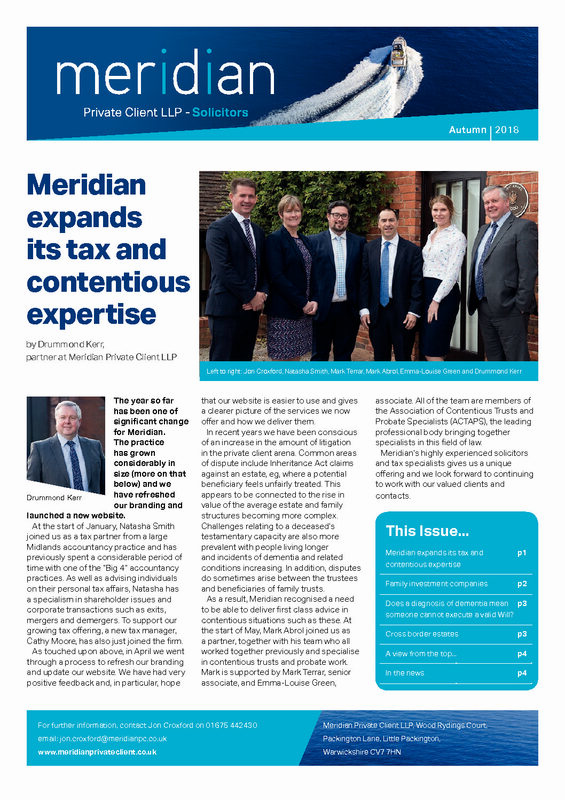 Our Contentious Trusts and Probate Team at Meridian Private Client are experienced at dealing with all manner of inheritance disputes. 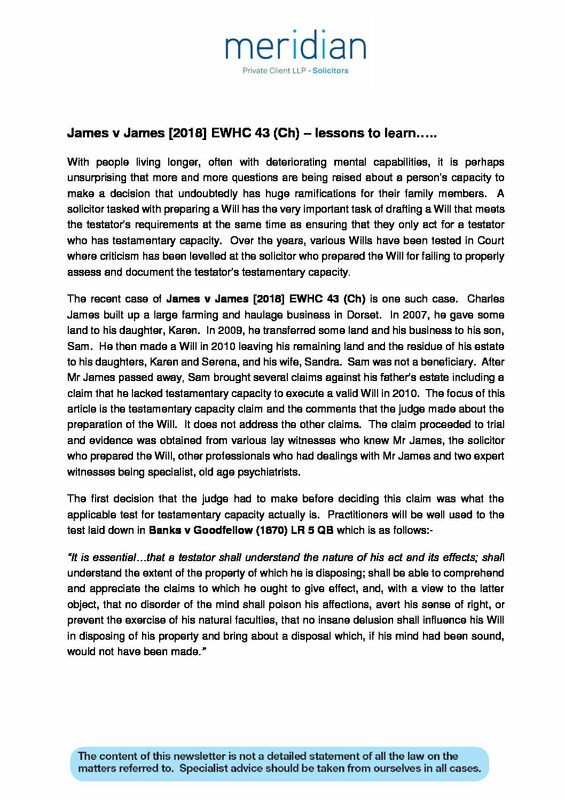 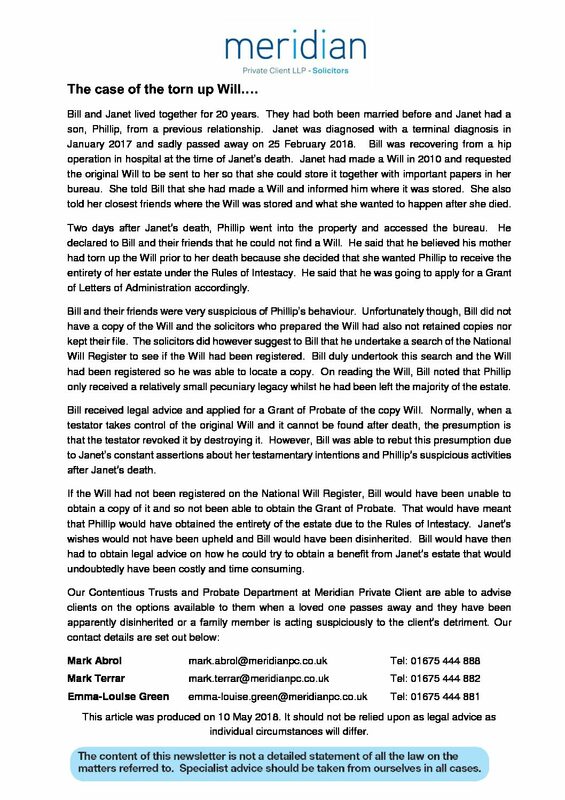 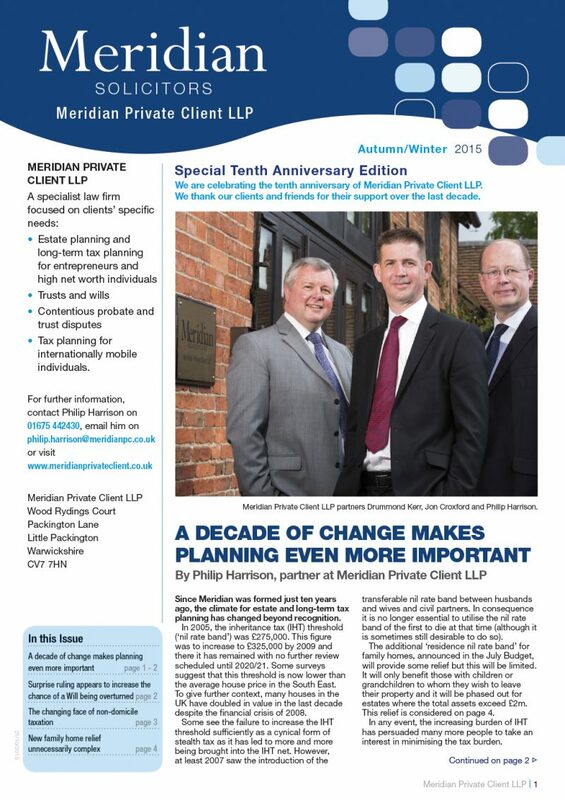 James v James  EWHC 43 (Ch) – lessons to learn….. Our Contentious Trusts and Probate Team at Meridian Private Client LLP are experienced at dealing with all manner of disputes relating to someone’s capacity. 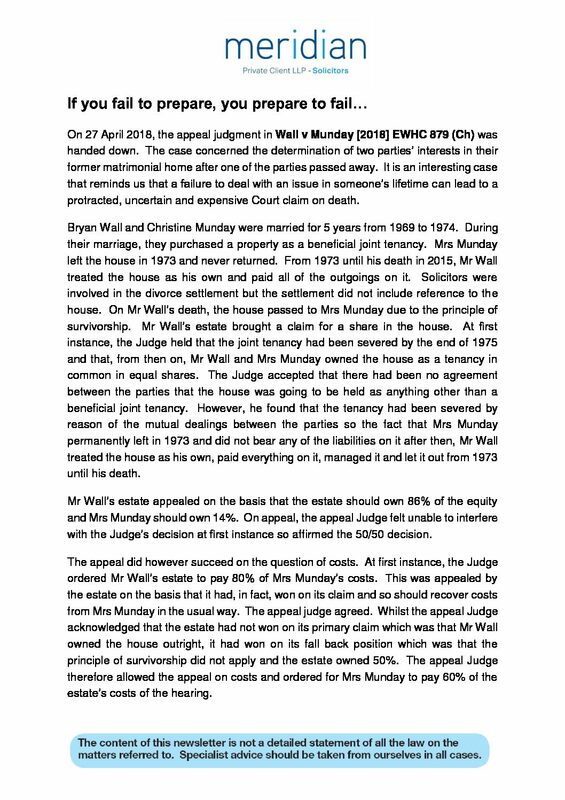 Wall v Munday - if you fail to prepare, you prepare to fail... Our Contentious Trusts and Probate Team at Meridian Private Client are experienced at dealing with all manner of property disputes that may not come to light until after someone passes away.